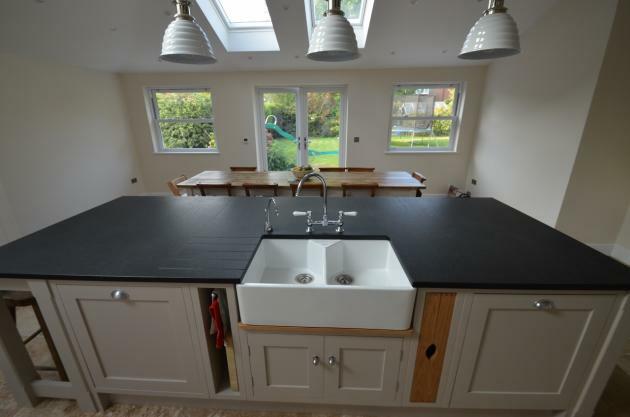 County Stone Granite recently fitted 30mm ‘Indian Black Leathered Granite’ worktops to a customers stunning kitchen in Chandlers Ford. 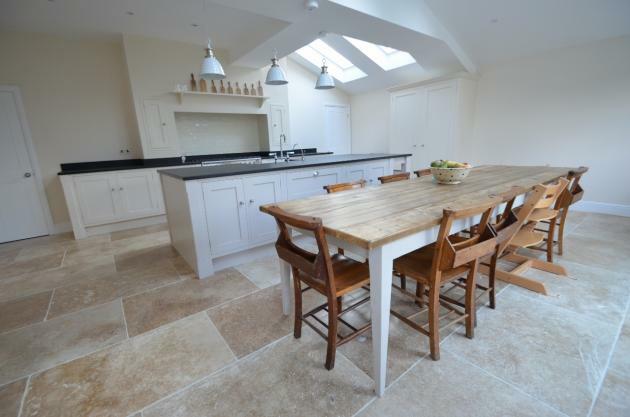 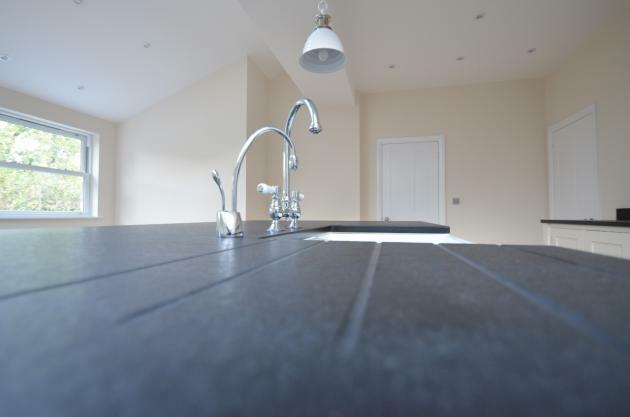 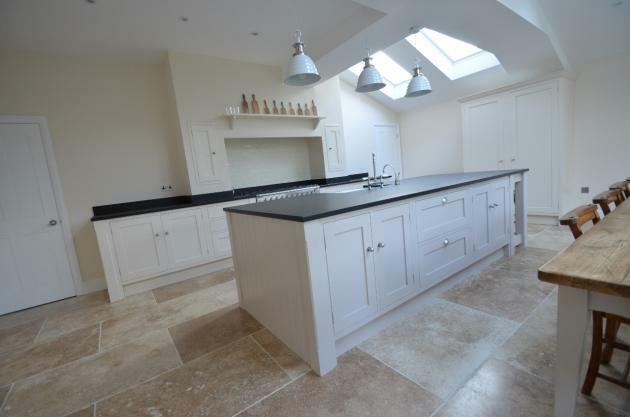 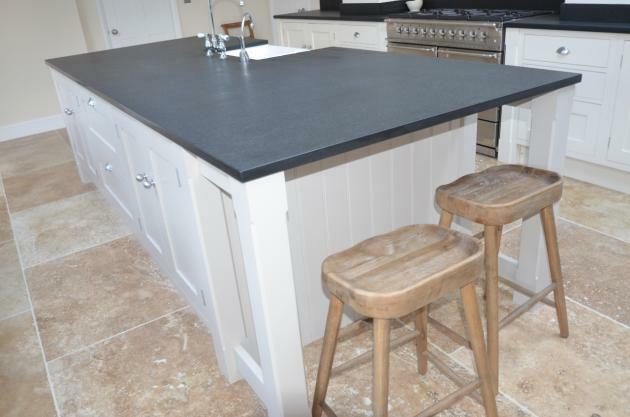 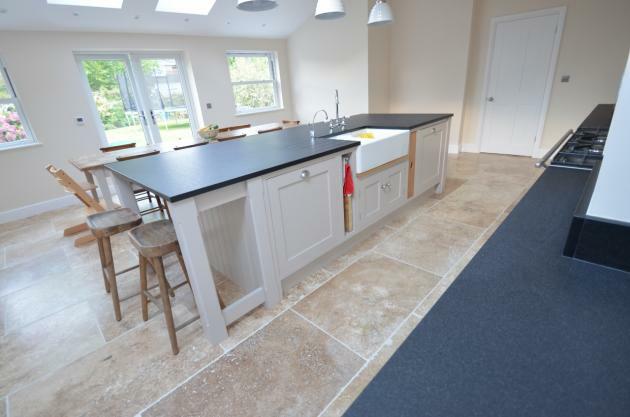 The granite worktops really complimented the shaker style kitchen and travertine flooring. 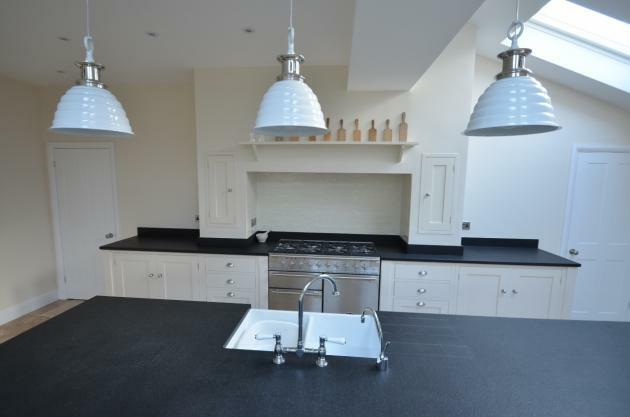 Indian Black Leathered granite offers a dark and textured finish to countertops, making them the perfect partner to any style of kitchen, modern or traditional. 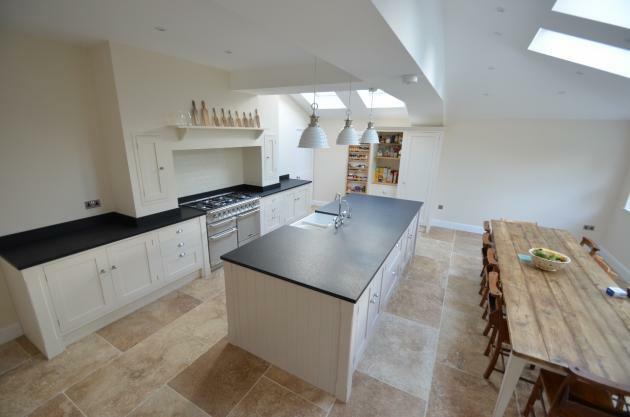 Please look through all the photos of this beautiful kitchen.